This set me thinking about the innovator within a company. They face the same “salmon run” or gauntlet when they try to bring to life a new innovation. The innovation equally has to swim “upstream” of validation, encountering all sort of obstacles along the way to get approval. Actually can we make a further parallel here? 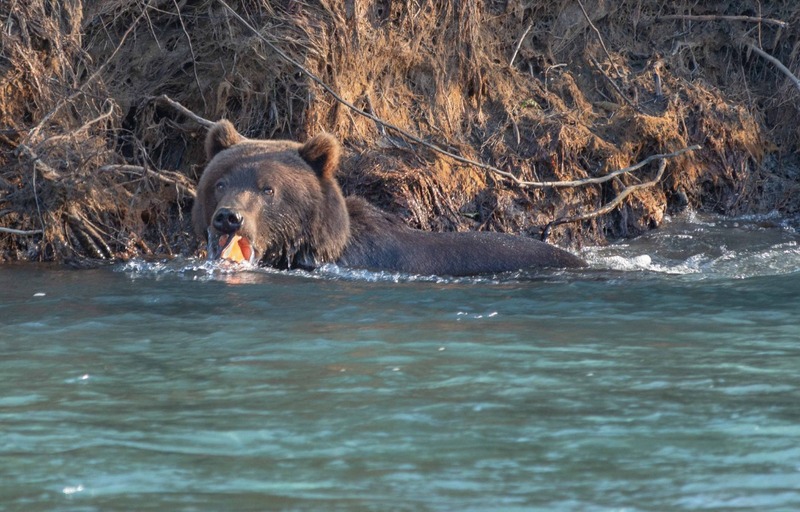 You can replace the “grizzly bear” with the CFO, wanting to catch you out in your lack of hard, quantifiable numbers or not wanting to commit the level of investment into this project as it seems, in their opinion “very risky”. Then you have so many “bald eagles” swooping in to attack your idea as it disturbs their status quo, it challenges the existing business model or it would not fit within the current organization’s ways. They attack the idea for fear it “steals” from existing resources, it risks canabilizing the current product, it simply means more work for them. These “bald eagles” are constantly diving at you to pick your idea off. Then you get the “sports fisherman”, constantly casting his line wanting to snag or catch you, to reel you in and make your idea his or just simply being the one enjoying the “sport” of the catch, stopping you from moving further upriver with clever questions designed to impress others with his insights. The innovator constantly has his “run”. He builds up his arguments and validations, he collects facts, trails and builds prototypes but then he has to go and sell the concept to management. This is my equivalent of an innovation salmon run. If you regard the role of being the innovator as similar to a salmon struggling to get upstream to spawn, to undertake some hatching (in this case of ideas) then you often do have to face as the tortuous journey. They constantly face the “innovation run”, just like salmon, there are so many obstacles to their run. Understandably so, executives who take a “show me the numbers” approach to innovation see expensive experiments, lots of novelty, lack of planning and worst of all, no defensible numbers and set about wanting to disprove it. The antibodies that lie in weight for the innovator. We know Innovators face significant barriers to get their ideas into realization. These form many of the barriers to not achieving a successful innovation environment. Let’s list many of these. This handy list from Miriam Lourdes Filgueiras Universidad Tecnológica de la Habana, José Antonio Echeverría shows how hard it is to “swim upstream” to hatch a new innovative idea. Innovators have a tough time, swimming constantly upstream again the forceful current of normal practice and metrics for established businesses. Like Salmon, innovators must build up their body mass ready to take on the innovators run for approval. They must be ready to defend, validate, to prove the potential value of their new concept and its future value to the organization. They do not have the solid foundation of “repeating hard numbers” they have to build them through a series of steps, of validations, proof of concepts, customer engagements and shaping the original concept towards a commercial outcome. Salmon, once they arrive to spawn have spent so much energy and physiological change to get to that point they die. The innovator certainly does have a greater chance to survive but we do see the turnover of the innovation manager in many cases is getting shorter and shorter, in many of our business organizations. Sometimes between 3 to 5 years and they move on or simply out. So the innovator does equally have as a innovators lifespan a short life. Is this because the innovation salmon run takes its toll on them, or have they simply become the next grizzly bear, bald eagle or sportsman challenging the next innovation run? Or perhaps, they learned something themselves about the innovation run to help clear the way for the next innovators salmon run?